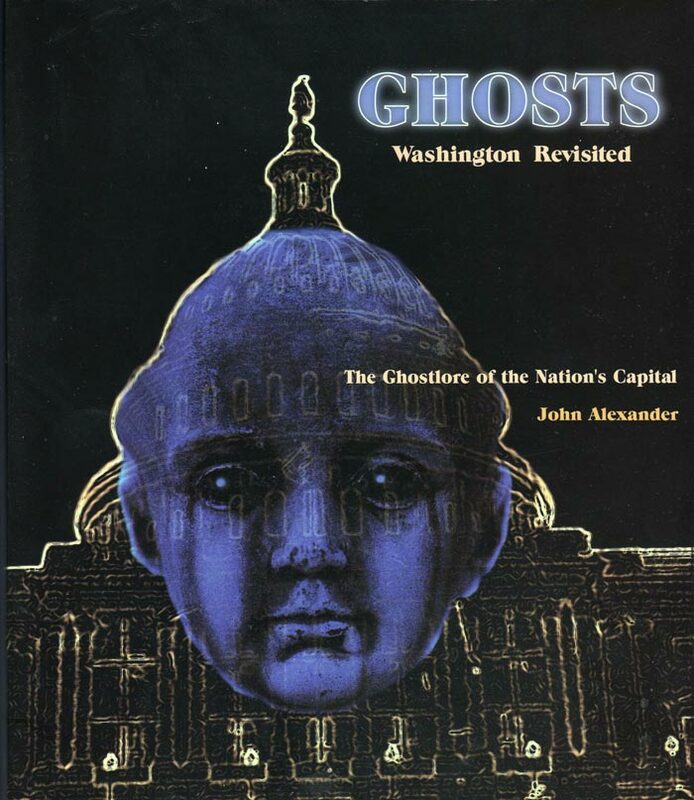 It was the spring of 1973 when a co-worker friend of mine at WMAL Radio, John Alexander, mentioned that he was thinking about writing a book on ghosts in Washington and asked me if I would be interested in doing the photography for it. I wouldn’t be paid though, unless he could find a publisher for it, etc, etc. This hair-brained idea of his had more “ifs” and “maybes” than just about anything that I had ever wasted my time on over the years. Not that I really expected it to ever be published or receive any money for it, but I was heavily into my hobby of photography back then and as a history lover, to have an excuse to wander around photographing the Washington that tourists never see was too appealing for me to turn down. John and I worked all that Spring and Summer on it. We went to I don't know how many historic old houses that I’d never heard of, like the Halcyon House just across from the White House that was full of rooms without doors and staircases that led nowhere, the old dueling grounds in nearby Bladensburg, MD where a number of congressmen settled what they could not settle on the floor of the house or senate and just about every cemetery in town. A couple of those left some unforgettable impressions in my mind. 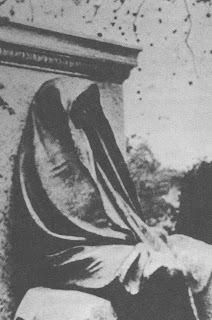 For example, the grave site of Clover Adams, wife of historian Henry Adams located in the old Rock Creek Cemetery off North Capitol Street. Today, there’s no way, without an act of Congress, that anyone could have the freedom John and I enjoyed that summer, strolling through the Capitol and other major landmarks by ourselves taking pictures of anything and everything we wanted to. We discovered several hand carved Italian Marble bathtubs in one of the basement rooms of the Capitol. Tubs, complete with hot and cold running water which were installed there in the mid 1800’s when not even the White House had such luxurious bathing facilities. 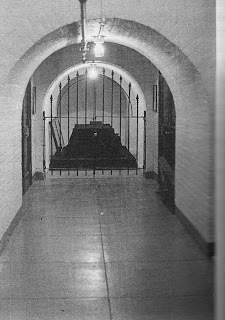 As we continued our walk down those lonely basement halls we came upon the catafalque storage area, originally a tomb built for George Washington, but his heirs insisted on honoring his wishes to be be buried at Mount Vernon. Frankly, unexpectedly coming face to face with that thing was a bit unnerving. Thank goodness there was no sign of the “Demon Cat” which John said according to legend makes a chilling appearance down there just before a national tragedy. 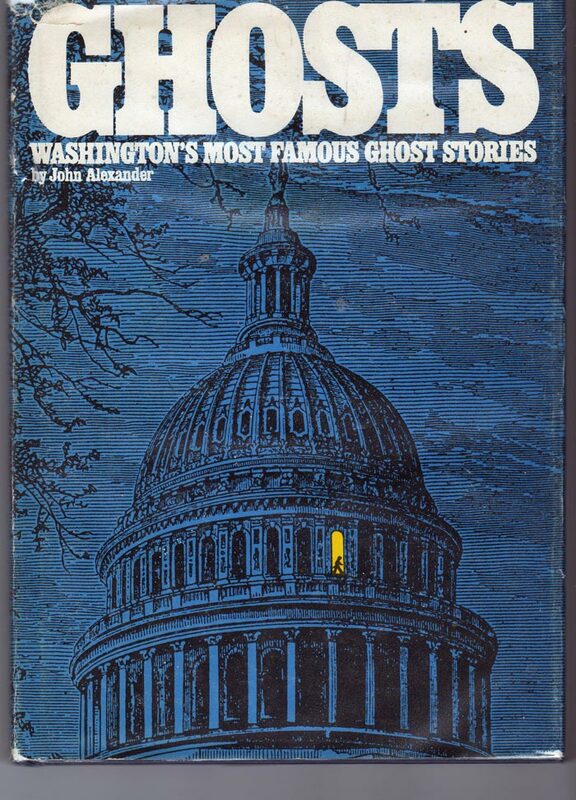 Frankly, I can understand why a number of Capitol security officers have claimed over the years to hear unexplained footsteps of invisible visitors and other such tales from which ghost stories sprout. Perhaps it’s the heavy cloak of history that hangs over the place. 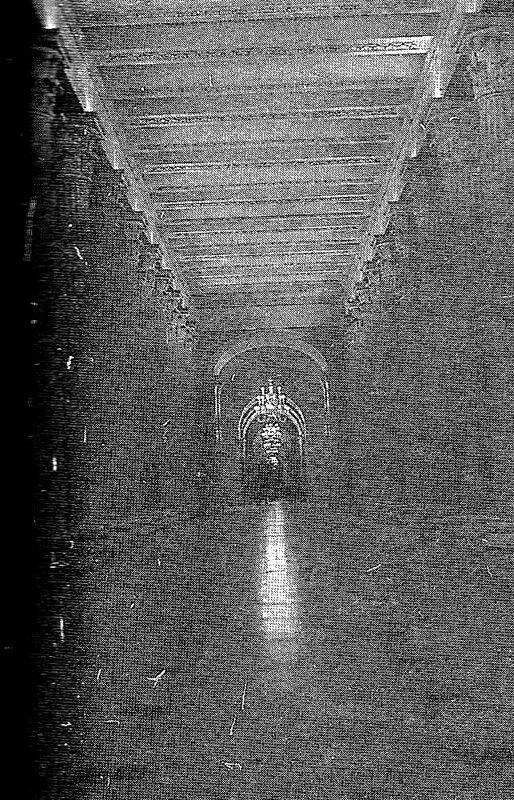 Maybe it’s those long dark halls. 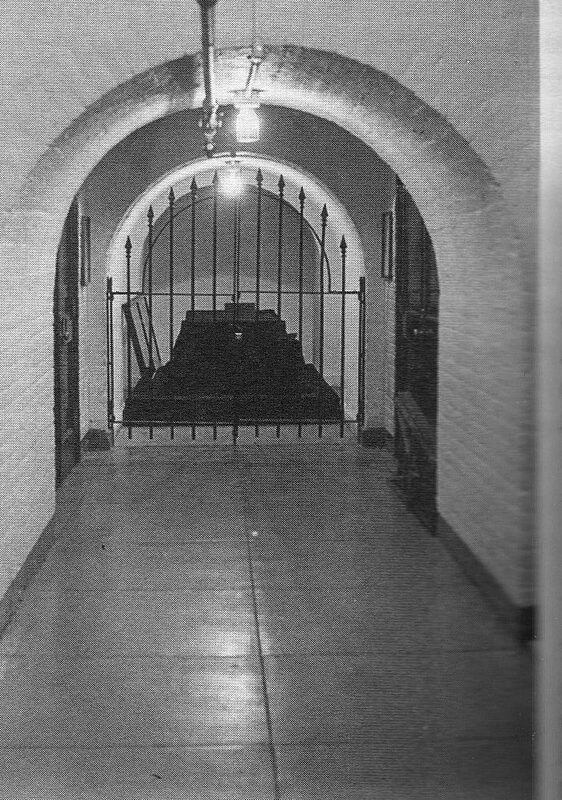 I don’t know what it is, But there’s one thing I know for sure; the basement of our US Capitol is just plain spooky. That Fall no one was more surprised than me when John told me that his book had been accepted by a local publisher! The bad news was that they didn’t want my photographs. Not, John explained, that there was anything wrong with them, but because the publisher didn’t want to pay for them since they had their own staff of photographers; plus they could obtain many of the historical images free from the Library of Congress or the National Archives. I was a little disappointed, but frankly it was no big deal for me, since I wasn’t expecting to gain monetarily from the project anyway. 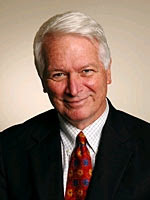 Thanks primarily to the US Park Service, John Alexander’s book became a big success. For all I know, it’s still being sold in the souvenir shops at every one of our National Parks and historical sites. 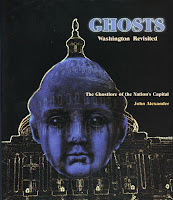 About 10 years ago, John up-dated and published a sequel called "GHOSTS, Washington Revisited" which featured all of MY pictures including one as part of the cover. Finally seeing those pictures published was a good feeling. I guess being “written out” by John’s first publisher bothered me a little more than I thought. Just before John’s first Ghost book was to go to the printer, his publisher called and asked for permission to use one of my original pictures. 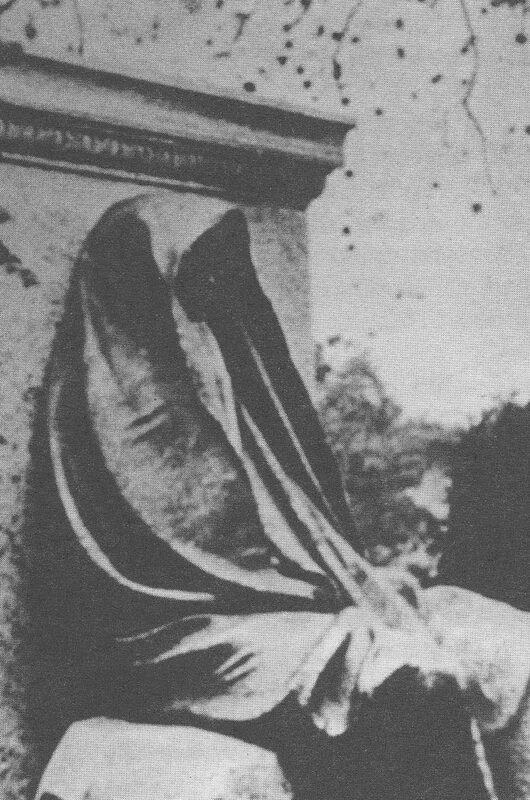 It seems that they were unable to reproduce it and the Library of Congress and the National Archives determined that there was no other picture like it as far as they knew. I told them that I would talk is over with my "agent" and get back to them. We got this email from Lou today! The procedure at Duke, yesterday, Friday, went very, very well, without any complications. My pyloric valve was stretched open allowing the contents of the stomach to emnpty faster into the small intestine. This will eliminate the aspirations. The procedure took 30 minutes, then I was in recovery for 2 hours, then we headed back to Charlotte, arriving at about 6 PM. The only restrictions that I'm on are "rest and no driving for three days". After that, I'll be "free as a bird"!!! Once again, both Betty and I felt that we were wrapped in your concern, caring, prayers, support and love. Thank you so much for that......it meant alot to both of us.....dear family and friends. and a hearty "HI-YO Silver........the Lone Ranger!" 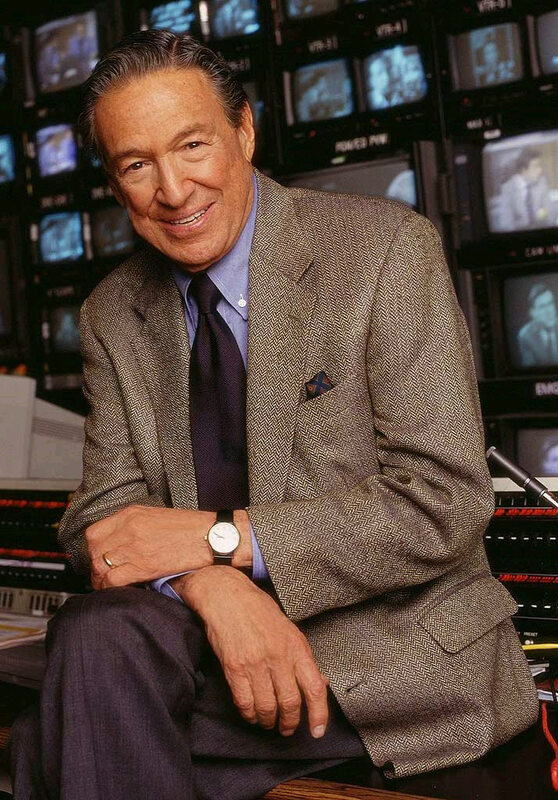 One of radio’s all time great announcers, Fred Foy died recently. 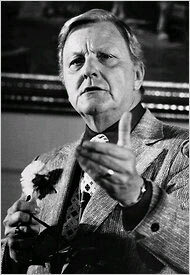 He was most famous for his work at station WXYZ in Detroit, where a number of successful old time radio dramas were created. His was the voice that introduced “The Lone Ranger” from the late 1940’s until the late 1950’s. An announcer named Brace Beemer was the actor who portrayed the Lone Ranger on radio during those years. 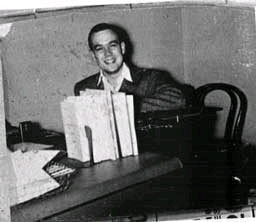 Foy, who was no relation to the vaudevillian Eddie Foy Sr. or his Seven Little Foys, was also the announcer and actor for a number of popular radio dramas of the 1940’s. 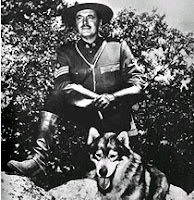 According to my friend and radio historian, Mark Bush, Foy often told the story of the time he was performing on the show Sgt. Preston of the Yukon. (Those shows were LIVE back then.) The plot concerned a young man who had taken in a wolf cub that was nearly dead. He nursed the cub back to health and eventually returned the grown wolf to the wild. 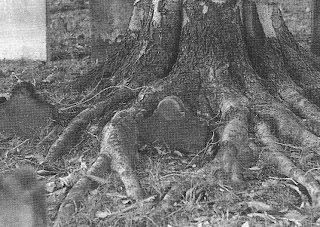 Years later, the young man was set upon by evildoers who left him to die in the cold of the woods. Things got exponentially worse when he noticed a pack of wolves gathering around him, most likely intending to do him harm. 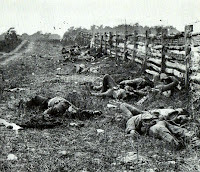 But the leader of the pack stepped into the clearing and set himself between the wounded man and the rest of the pack. Fred stood at the same microphone as the actor playing the injured young man. "Hi-Yo, Silver! A fiery horse with the speed of light, a cloud of dust and a hearty "Hi-Yo Silver"... The Lone Ranger! With his faithful Indian companion, Tonto, the daring and resourceful masked rider of the plains led the fight for law and order in the early West. Return with us now to those thrilling days of yesteryear. From out of the past come the thundering hoof-beats of the great horse Silver. The Lone Ranger rides again!" great CHS class of '54. But a shortage of competent proof readers and editors among the large and almost competent staff here at the digital complex has caused me to rely heavily on the kindness of you readers to spot mistakes...like spelling and dangling participles. 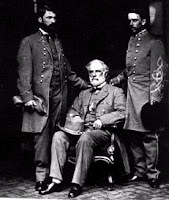 My thanks to my favorite aunt (actually Linda's aunt) Claire Weller Davis, who helped edit and publish that fabulous Civil War Diary by Sidney Davis, for spotting a couple of goofs that I made recently. 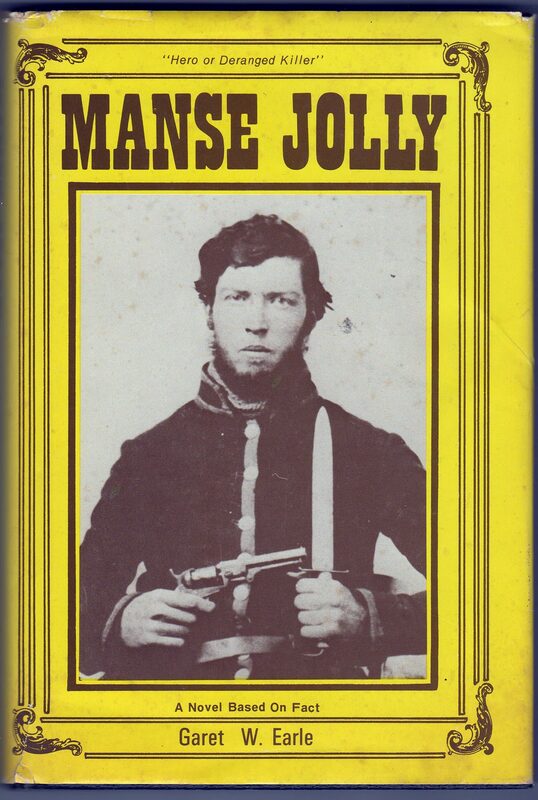 I enjoyed reading your update on "A Common Soldier", " An Army of One" and the story about your ancestor Manse Jolly. Not to be a pest, but I must point out that Linda's Great, Great Grandfather spelled his name with an "i" not a "y" as you have posted on your blog. Sidney Morris Davis was Sydney Davis Hartford's Great Grandfather. I think I have my number of "Great"s right, if Pop's father was James, and James' father was Sidney. 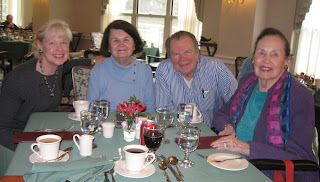 Anyway, all of your stories and reminiscences are wonderful and very entertaining. 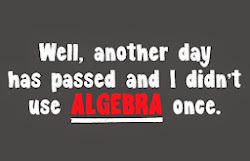 Aunt Claire emails me often with interesting things she spots on the internet. You might mention this to some of your friends our age.who think they're too old to learn how to use modern technology. Neil Jones calls our attention to the cover of last month’s Western North Carolina Parent Magazine which features a great picture of his daughter Holly Jones, her husband Bob Falls, and Gabriela Jones Falls, Neil’s granddaughter. 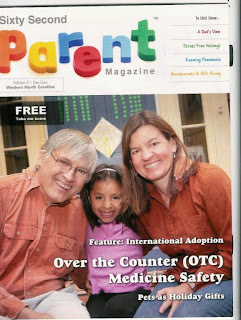 The magazine contains an article about international adoptions; and since Holly had adopted Gabriela Jones from Guatemala, the article was included relating Holly and Bob's experience. Holly is a busy girl in addition to being a mom as she remains the CEO for the YWCA in Asheville, and is currently serving her first term on the Buncombe County Commission, after completing two consecutive terms on the Asheville City Council. Shortly after Gabriela started first grade, she came home and was just beaming. She told us that she had a “green dot” day at school. When asked for more information, she told us that she got a green dot if she did a good job that day, a yellow dot if she did an okay job but nothing outstanding, and a red dot if she had messed up or got in trouble at school. Each day brought with it the announcement of the green dot she had earned that day. We had heard good things about Gabriela’s first grade teacher and we now thought she was brilliant. This simple activity of rewarding a green dot motivated our little girl every day to excel not only at school but also at home. We looked forward to expressing our appreciation at our first parent-teacher conference day. We met Gabriela’s teacher at our appointed time and she quickly brought out Gabriela’s notebooks and showed us her achievements as well as areas in which she still needed some work. The report was very organized and informative. When she had finished, she asked us if we had any questions or comments.
. She asked, “What are you talking about?” We told her about the dots she gives out each day and described the green, yellow and red dots and what each meant. She told us that she had never heard of any dots. There were certainly none given out in her classroom. We were two stunned parents. We asked Gabriela about this and she quickly said the teacher didn’t give out the dots. Gabriela would give them to herself each day. There were never any “real” dots. No “real” dots? No “real” dots? One of the things that I love about being married to Holly and being Gabriela’s father is that all of us knew as sure as we knew anything in this world that those “green dots” were indeed real. Our little six year old had created a short hand way for each of us to quickly evaluate our day and we continue to do that every day. One of my proudest moments was her last day of second grade. She had not missed a day all year long and her reward from us was clear. When she came home that afternoon she found on our front door 180 green dots, one for each day of the year. So, I will continue to nurture my daughter as the years pass and I will also continue to listen and learn from her all that she has to teach me on her journey. May all of you have a green dot day. 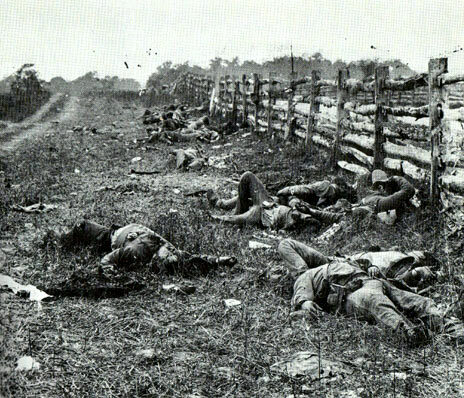 "We arrived home late from Duke. The news was good from the surgeon. He said he will absolutely be able to fix Lou's Pyloric Valve by inserting a balloon into it. He has done this procedure many times before. This will stretch that hard muscle, allowing the stomach to empty quicker. We will return to Duke this coming Wednesday, prepare for the surgery on Thursday and the operation will be on Friday. I saw the article in the Charlotte Observer’s Southpark Section recently titled “Charles Kuralt called it Home,” and I thought, finally, someone has written about that rustic old cabin off the Raleigh Road not too far from Chapel Hill. 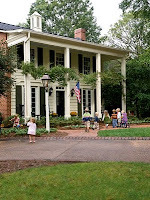 But no, the story was about Charles Kuralt’s boyhood home in Charlotte. 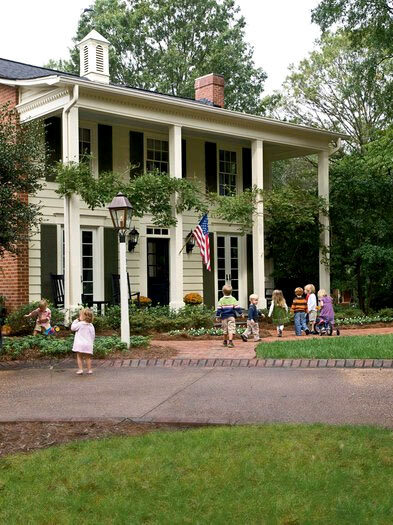 The Kuralt home that I'm familiar with is the one he and his first wife, Sory Guthrie lived in during his senior year at the University of North Carolina at Chapel Hill. He was editor of the Daily Tar Heel student newspaper that year, 1956, which in his biography he called one of the happiest years of his life...specifically going down in the evening with other staff members of the paper, myself included, watching the next day’s edition rolling off the press. I was hoping some of what he had would rub off on me. In those days Charles’s sentences, wrapped in that golden voice of his, would be full of words that I had never heard, much less knew the meaning of. I concluded that I needed the next four years of college real bad. There was no time to waste. 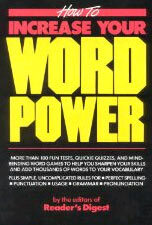 So I picked up a paper back book at the drug store called “Word Power” and started memorizing it. During my college years I also was convinced that it would be a terrible waste of my parent’s money if I graduated....no different from when I left home four years earlier. That thought, as well as simple observation, suggested that maturity involved more that just learning big words and mastering a history course or two. I was convinced that some outward signs were also needed. I tried smoking cigars, but couldn’t stand them. The cabin, as humble as it was, had a noble history as the unofficial abode of Daily Tar Heel Editors. For a number of years it had been passed down from editor to editor....going back I don’t know how far. However, he said, the chain was about to be broken, the next year’s editorship would be run by two men, Fred Powledge* and Ed Yoder* who had just been elected co-editors; and neither was interested in taking over Charles’ lease, so, he asked if I would be interested. And that’s how I came to spend my sophomore year in college living in a proud, but primitive 3 room cabin that once had served as servant’s (slaves?) quarters. The owner’s house was about a quarter mile from the cabin. Yeah, I guess the Charlotte Observer did the right thing....writing about Kuralt’s boyhood home on Sharon Amity Road in Charlotte instead of the shack in Chapel Hill. The long commute from downtown Chapel Hill....a fairly short but very dusty and rough dirt road to the cabin, poor heating, and an even worse gas stove. If Charles were still around, I’m sure he would have one of those $25 words to describe it. I can’t think of the perfect word for it, but with all its faults, I wouldn’t swap that memory for the world. Unfortunately, the only picture I have of the cabin is one of me on the front porch. And it’s locked away along with a hat, a box of cigars and a Word Power book. 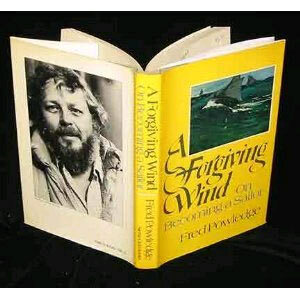 *Fred Powledge is the author of seventeen books and scores of magazine articles and reports on a wide range of subjects, many of them about the environment. 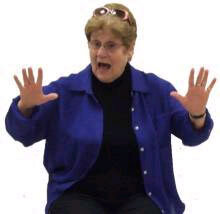 Jerry Gaudet reports that Mary Kratt has suffered a fall. At the February "LDL" we heard that Mary had fallen, suffering a broken fibula ( the smaller bone in the lower leg). Speaking of her exercising program, Mary says... " I won't be exercising there for at least a month but I am doing quite well. It was a clean break, lucky for me and not on a weight bearing bone. Watch that last step!!!! Hold on hand railings!" I’m not sure what I really thought about when I heard the term, Storyteller used. I think it was more along the lines of the guy sitting around the lodge after a day of hunting or fishing regaling his companions with “Stories”. He always had a captive audience and was definitely aided by copious consumption of adult beverages. Usually, they were short vignettes with a beginning, a main character, an almost believable story and an end. That was it. Well, my impression of a storyteller took a dramatic one-eighty on Wednesday evening when I was privileged to hear our very own classmate, Ellouise, captivate her audience for a wonderful non-stop hour of entertaining STORYTELLING. What made it different? It was never a discernable stand-alone short vignette that would begin and end before going on the tale. What Ellouise has is the magical ability to artistically weave one story or personal experience seamlessly into the next, causing you to not realize where one began and the other took up. What a gift Ellouise has and how thankful we should be that she generously shares that gift with others. PS, there was a wonderful article in today’s Sunday edition of The Charlotte Observer about her, complete with a large color photo. As most of you know,Thomas and I spent a couple of months in Chandler, AZ over the holidays with our daughter Valerie and her family. We drove out, pulling our camping trailer. 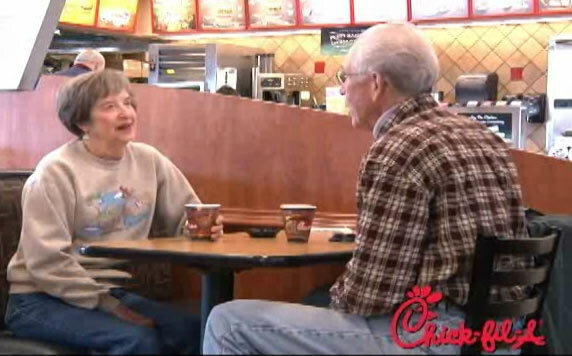 On the second day out, we stopped for breakfast at a Chick Fil A in Meridian, MS, and were approached by a young lady who was looking for some elderly people to be in a commercial. I assured her if I saw some elderly people, I would send them over. It was then that she decided to use us instead. (Marlene and Tom will be signing autographs at the next LDL event. Betty Rose reports that her husband Lou came home from the hospital yesterday! She says he'd love visits.....BUT NOT TODAY (SUNDAY). 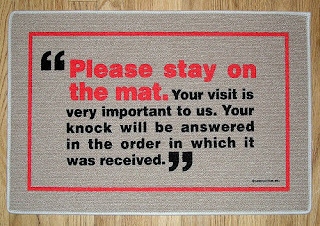 Be sure to CALL first. Lou has an appointment at DUKE on Thursday. This is the story that was in the Charlotte Observer telling about Ellouise's visit to Elizabeth School last week. Ellouise will have a better, and more detailed, report for our website....as soon as she and Jim get a little rest from their very busy trip to Charlotte. A woman who attended Elizabeth Traditional in 1942 tells students about their history. Ellouise Schoettler, a professional storyteller, stopped at her old first-grade classroom at Elizabeth Traditional Elementary. Sarah Nelson, in background, teaches there. First stop: the old first-grade classroom. Ellouise Schoettler walked in just before 2 p.m. Teacher Sarah Nelson was in there, alone. 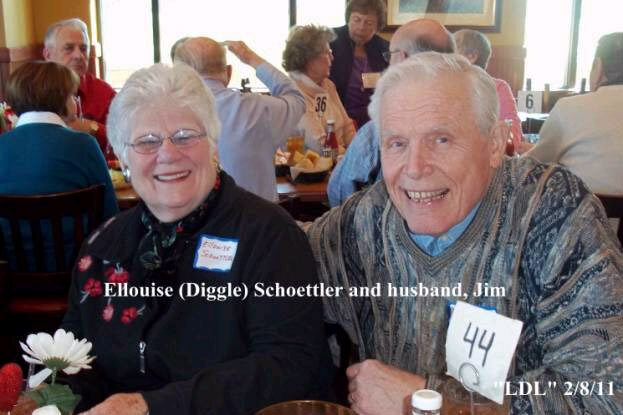 Schoettler began regaling her with stories. This is what she does. 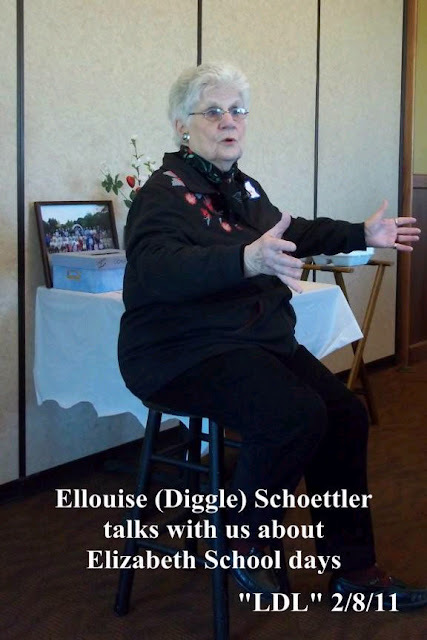 Eventually, Schoettler broke from her reverie and soft-shoed into the Elizabeth Traditional Elementary School auditorium, where about 180 students - all of the second- and third-grade classes - had gathered to hear Schoettler, a 74-year-old professional storyteller, talk to them about the school she remembers. Which, in some ways, hasn't changed at all. 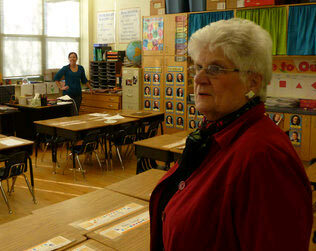 "This auditorium," she told the students, "looks exactly the way it did when I started first grade in 1942." The kids gasped. Schoettler grew up a few blocks away, on East Seventh Street in Elizabeth, but left Charlotte after graduating from Central High in 1954. 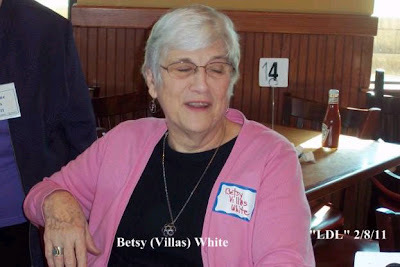 That was the last time she lived in the Queen City, although she frequently returned to visit; her career kept her in the Baltimore-Washington, D.C., area, where she worked at various times as a visual artist, pro-Equal Rights Amendment activist and art college president before devoting herself to storytelling about 20 years ago. She speaks regularly at schools and to civic groups and organizes storytelling events twice per month in the D.C. area. Her appearance at her old school was a happy coincidence, in a way. 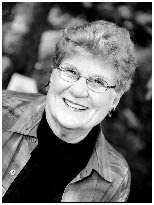 Schoettler's 75th birthday is coming up in July, and she wanted to tell stories about her youth to groups in her hometown. A few weeks ago, she cold-called Elizabeth Traditional Principal Susan Spencer-Smith and told her she'd like to speak to the students. Spencer-Smith thought it'd be a nice way to get students thinking about the school's long history in advance of its 100-year anniversary next year. "A lot of students don't realize the building they're in is 100 years old," Spencer-Smith said. 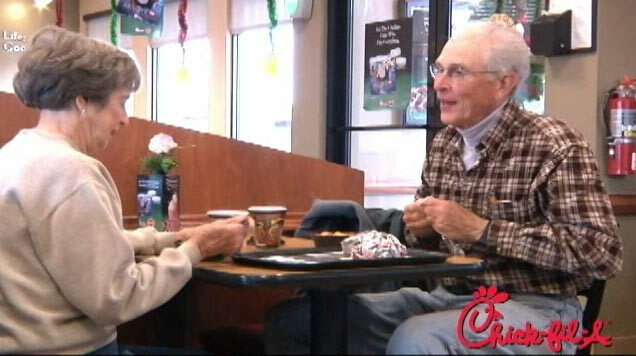 "I thought it'd be interesting for them to realize how things were different in times past." It's especially important to Spencer-Smith considering how close the school came to closing; Elizabeth Traditional was on Charlotte-Mecklenburg Schools' closure list in the fall before parental uproar saved it. During her talk, Schoettler told the students about her first day of school, about how Miss Cook told the class, "Boys and girls, if you're feeling nervous, don't feel nervous, because it's my first day, too." Schoettler amazed the kids with her stories about saving tinfoil for the war effort and other unimaginable hardships, such as the absence of television - the students gasped again - and clothes that had to be washed with an old bathtub wringer washer. The kids had never heard of such a thing. Schoettler didn't bother trying to explain it in too much detail. It'd get in the way of her storytelling, after all. She told the students to just Google it. Greg Lacour is a freelance writer. Jackie (Hart) Lookabill, and husband Gene, wanted CHS'54 classmates to know about their daughter, LaGena, being on the cover of Endurance Magazine with a story inside. It can be viewed online at www.endurancemag.com by clicking on "digital issues", January 2011,and finally the article "Faith , Love & Endurance", pages 14 and 15. 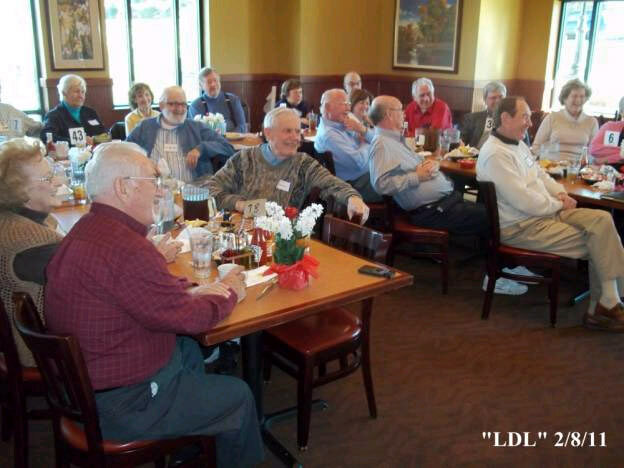 Or, try this "link" for the pdf version of this article..
"LDL" (Let's do lunch) was a special treat on Tuesday, February 8, 2011, (our twenty-eighth). Charlie Willis spoke for us all in offering a beautiful prayer for our sick and meal blessing. Have a look around, this DOT NET house ain't bad! The procedure did NOT go as planned today. Lou stopped breathing because of the buildup of food in his lungs (although he has not eaten anything but liquids). It was very scarey. They plans to do xrays Monday and see if the stuff has left his lungs before they try again. If they decide not to do this, we or they will consult with the Duke doctor that did his original operation. This doctor also talked about a feeding tube if the other does not work. It breaks my heart to think that Lou will have to deal with something like that rest of his life. It will take him time, I am sure to adjust to whatever happens. I can certainly understand. Right now he is on the 4th floor here at Presbyterian Main which is a step down from ICU so he is getting very good attention. Both boys and my grandson, Alex are here and we were all together during the procedure. Thank goodness I had their support because it sent me for a loop. Ellouise is coming! Ellouise is coming! When Ellouise talks, people listen! Well, this email was to start out like this, but Ellouise would have no part of it, saying instead, “I feel like it’s too much about me the storyteller. I am ME who is one of YOU - and I am really excited to see everybody”. And, she has asked a favor - Ellouise has a story about the Elizabeth School that will start a STORY SWAP - - so we can all trade stories. That sounds OK, don’t you think? So, Ellouise is going to tell us a story at next Tuesday’s “LDL”. This message is being sent to all CHS'54 classmates for whom we have an E-mail address. 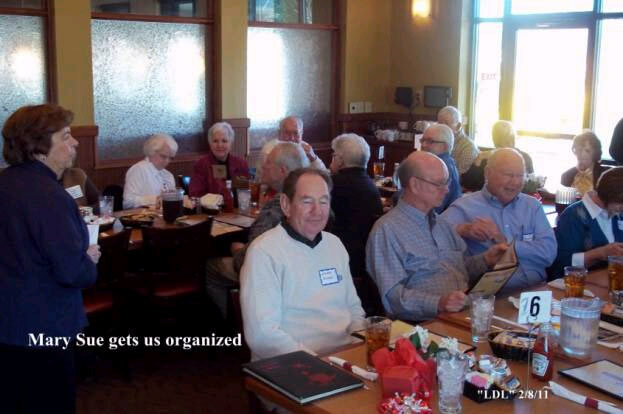 We recognize that many of you live great distances away and may not elect to "do lunch", but we want you to know what we are doing and hope you'll come when you can. February’s “LDL” will have a Valentine’s theme. Spread the word! Invite other classmates to come! 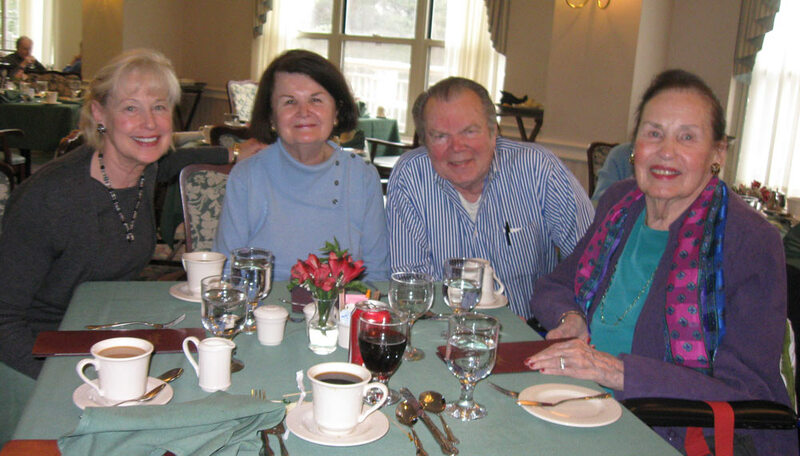 We’ll want to come early, order our lunch favorites, have a brief business meeting, enjoy our meal and then hear Ellouise’s story for us…and respond. 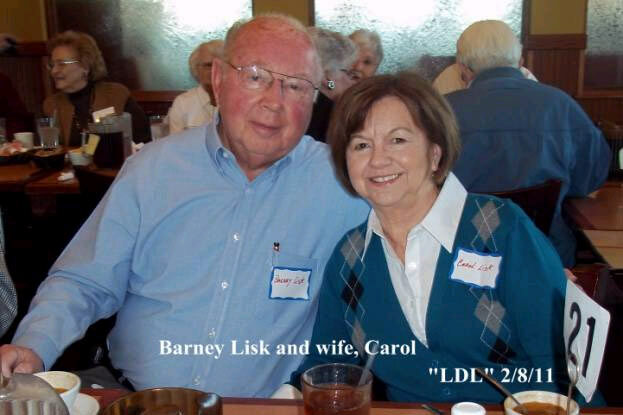 please contact Mary Sue (Banks) Burnett, marysburnett@yahoo.com , or phone 704/846-8619. I hesitate to tell this story because it’s pretty well documented that naming squirrels in your yard is an early sign of insanity. But Virgil was special. 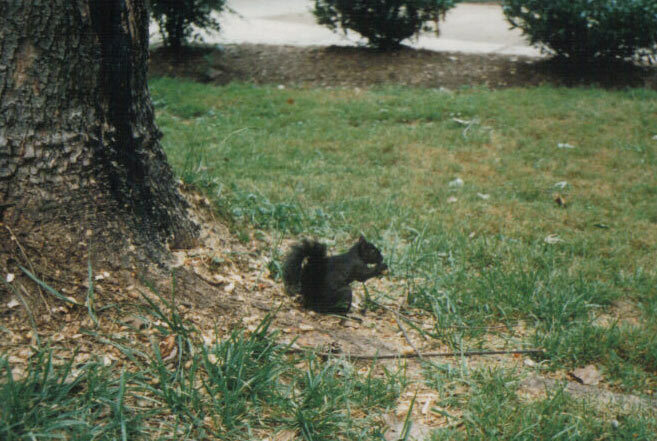 He was probably the first black squirrel I’d ever seen. No doubt, I would have grown up as “anti-squirrel” as she was, had I realized that she was making those delicious pecan pies from our own home grown drupe fruit seeds (there I go again) and there would have been more of those pies if it hadn’t been for those furry grey thieves. But frankly, there were too many distractions (great looking girls) at CHS for me to concern myself with the art of making pecan pies. Anyway, it was my youngest son David who came up with the name Virgil. My other two kids and I agreed that it was the perfect name for him. You could just look at him........and tell; he’s a Virgil. He didn’t seem to be as aggressive as the other squirrels. We noticed that the others took most of the peanuts we threw out each day, so we began saving a few especially for Virgil....AFTER the grey hoards had gone off to stash their loot. 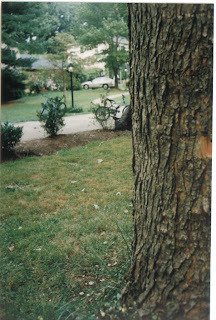 Not long afterward, Virgil started showing up at odd times of the day...when no other squirrels were around, and more often than not one of my kids would see him....and throw him a few nuts. 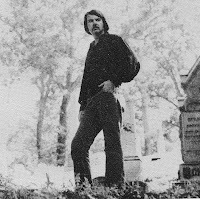 Later, my kids discovered that Virgil would come running from out of the woods behind our house if they “called him.” Or, I could just whistle and he would come. It was truly amazing. Once I asked my Mom, who was a real country girl if she knew what the life expectancy of a squirrel was. 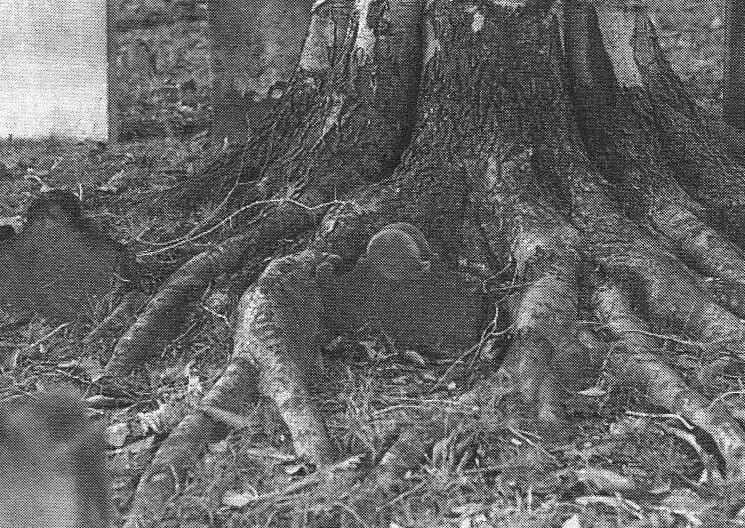 How long did squirrels live? Virgil stayed around our house, living like a king, for a little over two years. Then one day he just didn’t come when we called and we never saw him again. 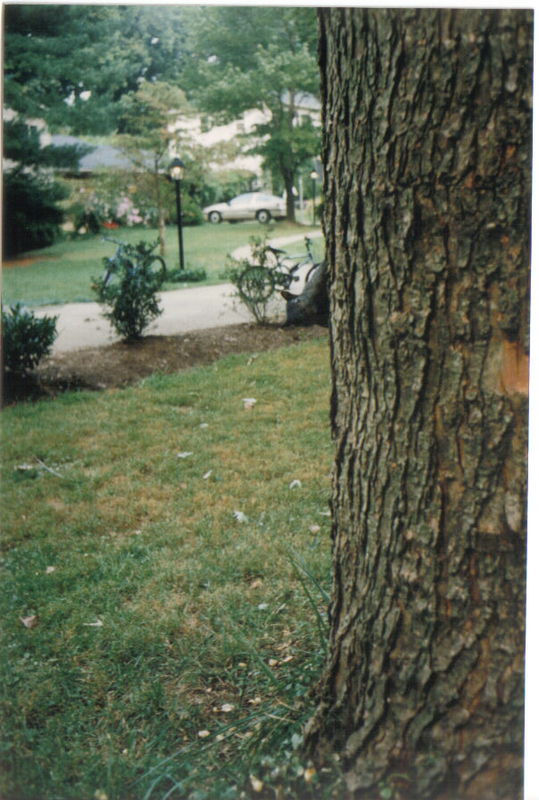 That was many years ago, but my neighbors still talk about it. I often overhear bits and pieces of their conversations..... talking about.....".the Shephards.......squirrels.......Virgil.......nuts......."
"As most of you know Lou went into the hospital this a.m. for a hernia operation. The anesthetist was preparing him and noticed something very unusual about his lungs and stopped everything. It seems that both lungs are filled with gunk and solids. They put him on oxygen and started scraping the lungs. He was put in ICU and induced sleep for most of the day. Several xrays were made of the lungs during the day hoping things would improve enough to take out the breathing tube but the last one at 6:00 was still showing problems and they will induce steep tonight and retake xrays in the morning. He is not able to talk but did ask a few questions by writing them. His first quesiton was "am I going to die". We assured him that things will turn around and he will get well. Thedoctors are very disturbed about his lungs and will be doing quiite a bit of testing. I have no idea when he will come home. If you would be good enough to keep him in your prayers I know he will feel the strength of all of his friends. At this time I am asking that NO One go to the hospital to visit him. Tony is staying with me and will stay at the hospital until this is over. Of course Chris will be coming also. Unfortunately only 2 people can be in ICU at a time. This all sounds pretty bad,and it is, but we are fortunate he was scheduled for the hernia operation because the doctor said he could have had a spell at home and it would have "taken him". Once again luck was on our side.